The water storage available in 91 major reservoirs of the country for the week ending on December 27, 2018 was 86.373 BCM, which is 53% of total storage capacity of these reservoirs. This percentage was at 55% for the week ending on December 20, 2018. The level of water storage in the week ending on December 27, 2018 was 98% of the storage of corresponding period of last year and 93% of storage of average of last ten years. The Northern region includes States of Himachal Pradesh, Punjab and Rajasthan. There are six reservoirs under CWC monitoring having total live storage capacity of 18.01 BCM. The total live storage available in these reservoirs is 12.57 BCM which is 70% of total live storage capacity of these reservoirs. The storage during corresponding period of last year was 56% and average storage of last ten years during corresponding period was 56% of live storage capacity of these reservoirs. Thus, storage during current year is better than the corresponding period of last year and is also better than the average storage of last ten years during the corresponding period. The Eastern region includes States of Jharkhand, Odisha, West Bengal and Tripura. 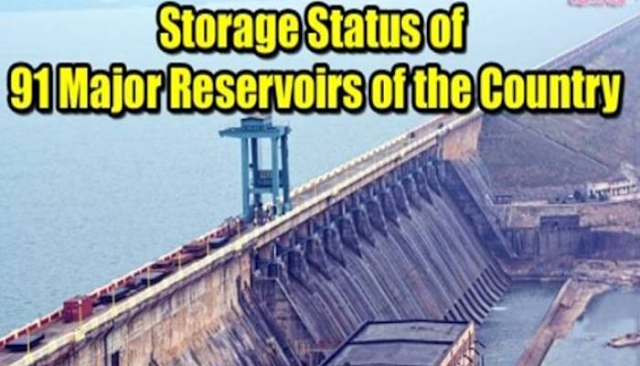 There are 15 reservoirs under CWC monitoring having total live storage capacity of 18.83 BCM. The total live storage available in these reservoirs is 12.19 BCM which is 65% of total live storage capacity of these reservoirs. The storage during corresponding period of last year was 73% and average storage of last ten years during corresponding period was 69% of live storage capacity of these reservoirs. Thus, storage during current year is less than the corresponding period of last year and is also less than the average storage of last ten years during the corresponding period. The Western region includes States of Gujarat and Maharashtra. There are 27 reservoirs under CWC monitoring having total live storage capacity of 31.26 BCM. The total live storage available in these reservoirs is 12.49 BCM which is 40% of total live storage capacity of these reservoirs. The storage during corresponding period of last year was 56% and average storage of last ten years during corresponding period was 55% of live storage capacity of these reservoirs. Thus, storage during current year is less than the storage of last year and is also less than the average storage of last ten years during the corresponding period. 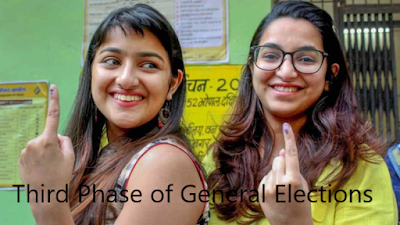 The Central region includes States of Uttar Pradesh, Uttarakhand, Madhya Pradesh and Chhattisgarh. There are 12 reservoirs under CWC monitoring having total live storage capacity of 42.30 BCM. The total live storage available in these reservoirs is 25.02 BCM which is 59% of total live storage capacity of these reservoirs. The storage during corresponding period of last year was 52% and average storage of last ten years during corresponding period was 59% of live storage capacity of these reservoirs. Thus, storage during current year is better than the storage of last year and is equal to the average storage of last ten years during the corresponding period. The Southern region includes States of Andhra Pradesh, Telangana, AP&TG (Two combined projects in both states), Karnataka, Kerala and Tamil Nadu. There are 31 reservoirs under CWC monitoring having total live storage capacity of 51.59 BCM. The total live storage available in these reservoirs is 24.11 BCM which is 47% of total live storage capacity of these reservoirs. The storage during corresponding period of last year was 48% and average storage of last ten years during corresponding period was 54% of live storage capacity of these reservoirs. Thus, storage during current year is less than the corresponding period of last year and is also less than the average storage of last ten years during the corresponding period. States having better storage than last year for corresponding period are Himachal Pradesh, Punjab, Rajasthan, Uttarakhand, Madhya Pradesh, Chhattisgarh, Karnataka and Tamil Nadu. States having lesser storage than last year for corresponding period are Jharkhand, Odisha, West Bengal, Tripura, Gujarat, Maharashtra, Uttar Pradesh, AP&TG (Two combined projects in both states), Andhra Pradesh, Telangana and Kerala.